Marketing jet & yacht charter businesses has become a natural sector crossover for Design Incorporated. This came about when several key aviation clients added a yacht charter offering to their service portfolio through strategic partnerships. For our clients, this opportunity has been facilitated through alliances with leading yacht charter companies, yacht charter brokers as well as other specialists and consultants in the super yacht and broader marine sector. There are of course customers in common and the lifestyle side of business aviation requires the same focus on service and discretion from providers as from those serving the UHNW family offices and corporate travel departments who may be entertaining guests at events in venues like Monte Carlo, Cannes or similar. Travel agency and concierge offerings are also often associated with marketing core jet & yacht charter businesses as a joined-up service is valued by customers who simply want everything taken care of by a single provider. The main blog image shows a user viewing a digital advert we created for Jetcraft. 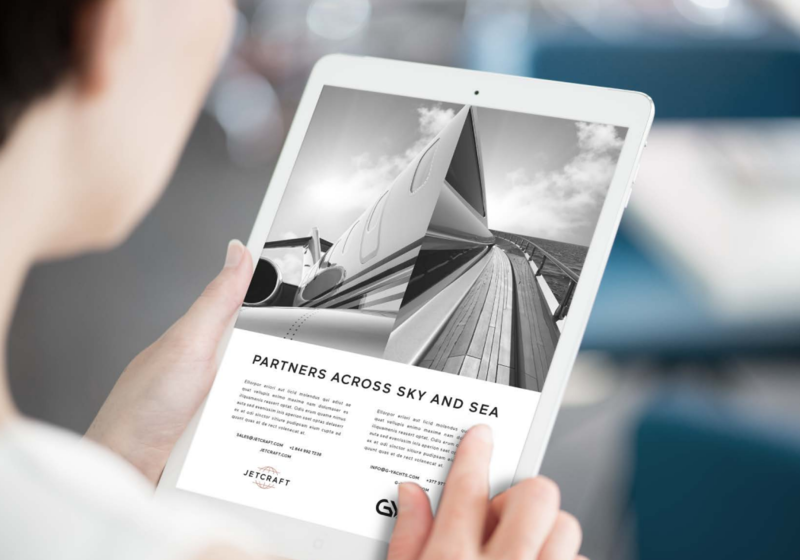 This appeared in digital consumer lifestyle publications, trade journals and event show guides, it was designed to announce Jetcraft’s partnering with Gaspard Yachts. The adverts above formed part of a campaign we proposed for Oceanstyle, encouraging customers to get away from the colder winter temperatures of higher latitudes by chartering a yacht in the tropics. 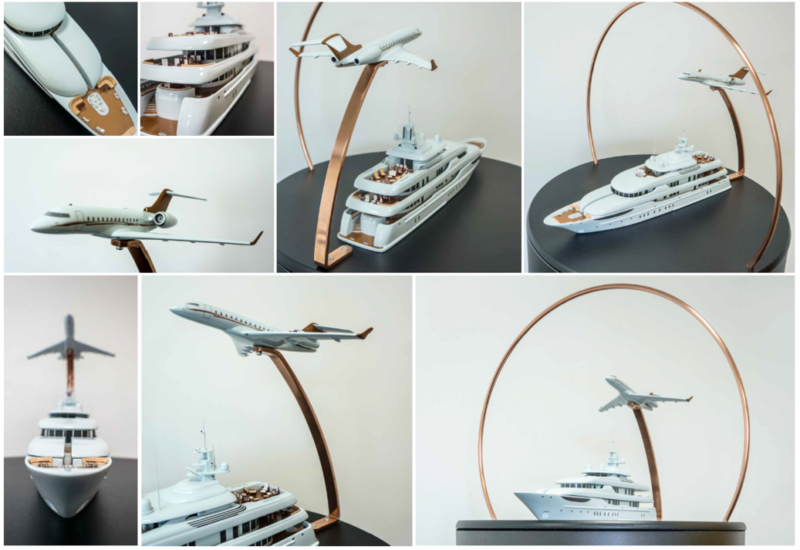 The images below show a partners ‘across sea and sky’ model combination used to promote Jetcraft and Gaspard yachts at events. Design Incorporated is committed to increasing its profile and market share in this sector in 2018 – so look out for us at the major events in the calendar.